Welcome. 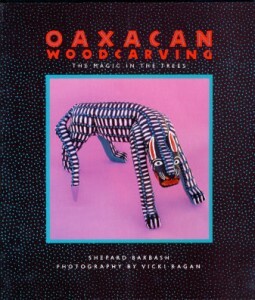 This site features our collection of folk art from Oaxaca, Mexico, where we worked as a writer and photographer in 1987-90. We did articles, books and exhibits on the region’s carvers and ceramists–and amassed several hundred pieces along the way. Most of the carvings come from three villages: San Martin Tilcajete, Arrazola and La Union Tejalapan. 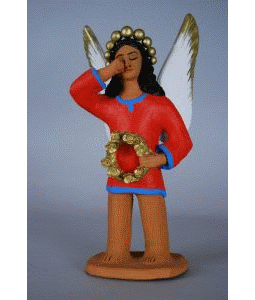 Most of the clay figures come from the Aguilar family in Ocotlan de Morelos. Because we lived nearby, we bought directly from the artisans. We were there for the start of the carving boom, a boom we helped create. There was no better time to be a collector. As the number of carvers grew from dozens to hundreds, it was all we could do to keep up with the surge. Our collection reflects a golden moment, when a new art form burst forth and caught the world’s attention, remaking the homes and sensibilities where it was made. Oaxaca today, with its dots, stripes and vivid patterns, looks the way it looks because of what happened 30 years ago, when a wave of Americans fell in love with its charms. The works evoke memories, and have stories to tell. We hope you enjoy them. Vicki Ragan is an artist photographer. She has exhibited in major venues around the world, including the Museum of Modern Art in Moscow, the Museum of Natural History in Paris, the Center for Creative Photography in Tucson and FotoFest in Houston. Her work is in major museums and private collections and has appeared on the covers of Smithsonian magazine and The British Journal of Photography. 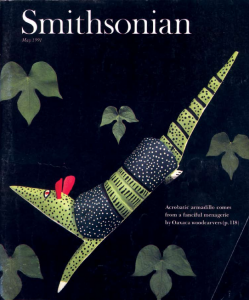 She has received many public art commissions, and has published four books with her husband, Shepard Barbash. She is a graduate of the Art Institute of Chicago and the University of Arizona in Tucson. Shepard Barbash has been a writer since 1981. His work has appeared in The New York Times, Wall Street Journal, Washington Post, Smithsonian, Barron’s, City Journal, Education Next and other publications. He is former bureau chief of the Houston Chronicle in Mexico City. His most recent book is Clear Teaching. He is a graduate of Harvard University.